The exteriors of this fantastic house are beautiful. Take a refreshing dip into the 8 x 4 m, chlorine pool or relax on one of the sun loungers. The pool has a depth ranging from 1.25 m to 2.15 m. The property features a porch, a lovely place for al-fresco dining. There is a barbecue for those who like to cook outside. This house offers accommodation on two floors and 149 m2. There are two bedrooms on the ground floor and one on the first floor. Two of them are fitted with one double bed, on single bed and en-suite bathroom each, the third bedroom comes with two twin beds. 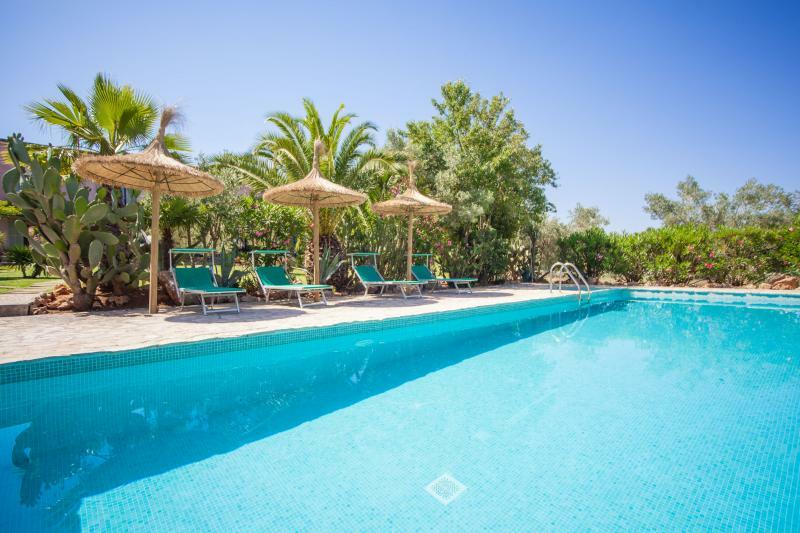 This villa is perfect for your summer holidays as it offers A/C in all three bedrooms. We can supply one cot in case you need one. The modern living area will make you feel at home. There is a cosy sofa, a dining area where you can enjoy long table talks with friends and a satellite-TV. The open plan kitchen with ceramic hob is fully-equipped. You will have access to a washing machine, an iron and an ironing board. The small town Jornets forms part of the municipality of Sencelles and is situated in the centre of Mallorca. 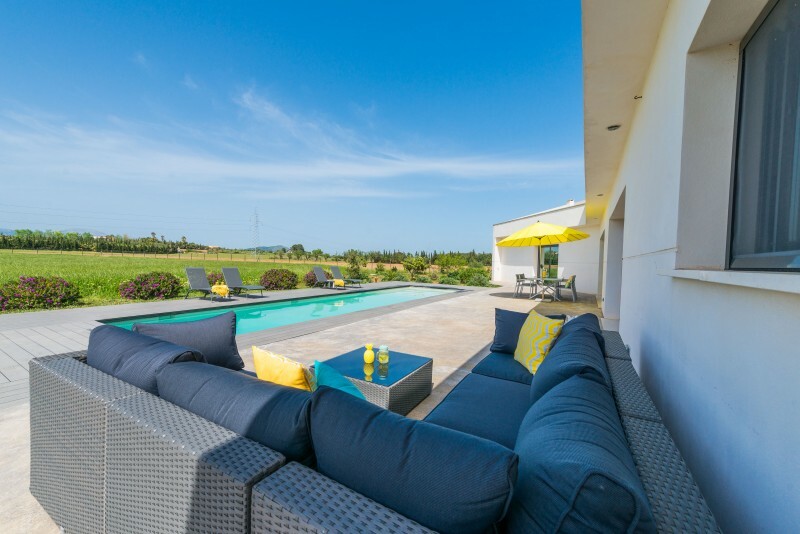 The villa has total privacy and is surrounded by fields. In the centre of Sencelles there are supermarkets, a few restaurants and all necessary services you may need during your stay. In the city of Inca, which is 6 km away, there are more shopping facilities and restaurants. Try home made food in one of the cellers or visit the market of Inca which takes place every Thursday. A car is essential to go to the beach. You can choose between the beautiful north coast and go to Can Picafort, Son Serra de Marina or Puerto de Alcúdia or explore the wonderful south coast and the natural beaches Es Trenc and Sa Rapita. Contact the advertiser for possible surcharges.